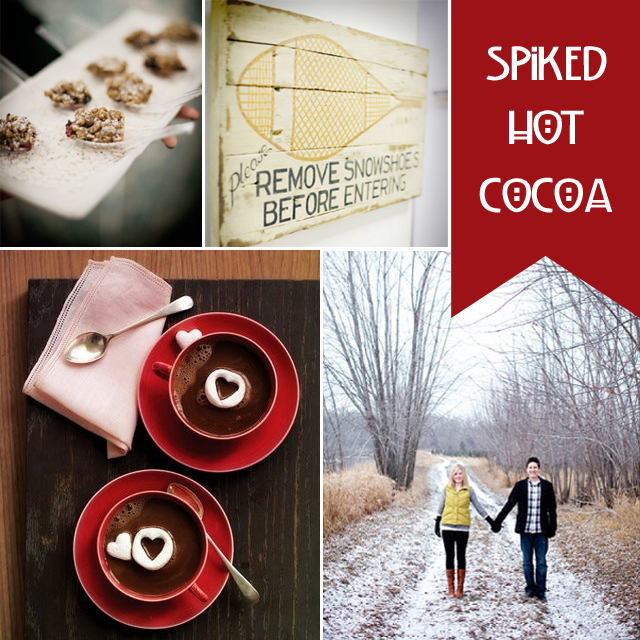 For winter weddings, we LOVE the idea of a hot cocoa bar. We went to a wedding once where there was a coffee and hot cocoa bar complete with different flavors of whipped cream, rock candy instead of sugar cubes, lots of little jars of spices for dusting, and peppermint sticks for guests to kick their drink up a notch. It was fantastic! Over medium heat, heat the chocolate and milk in a saucepan, stirring until chocolate has fully melted. Whisk until mixture is hot and frothy. Add liqueur and vanilla and continue to whisk until mixture is hot. Remove from heat, pour into mugs and top with whipped cream and dust with cocoa or garnish with grated chocolate. Make about 6 cups (1200 ml).